Affordable Entry-Level steel beadlock wheels. These wheels are great looking and strong. They come in a black powder-coat finish and include the 32 piece hardware set. 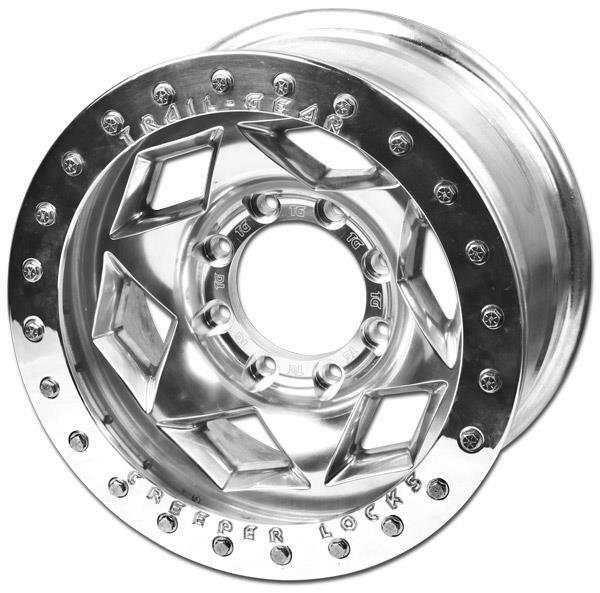 These wheels are 15" x 8”, with 3.75" back spacing. They are Available in 5x4.5, 5x5.5 and 6x5.5 bolt patterns. Trail-Gear: Creeper Lock 8 LUG ALUMINUM BEADLOCK WHEELS. 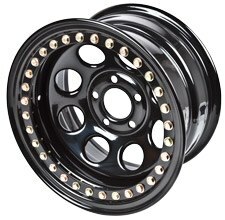 These new eight lug aluminum beadlock wheels are 17" x 9" and are available in a 4.25" and 5" backspacing and have a 5-1/8" center bore . These wheels are very strong and lightweight, weighing in at 45 lbs. each including the locking ring and hardware. Price: $325 each + Shipping.